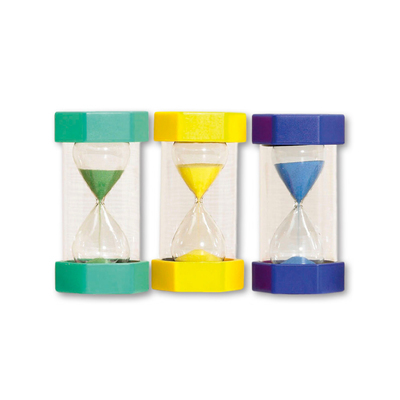 Allow them to discover a new form of creative play with our engaging Sand Timer. Their lightweight design paired with bright, moulded-end caps helps to create a hand-held tool that promises to capture their attention. A transparent and cylindrical body plays host to a pile of colourful sand - coordinated with the corresponding end - and can be tipped upside down to effectively time different activities. 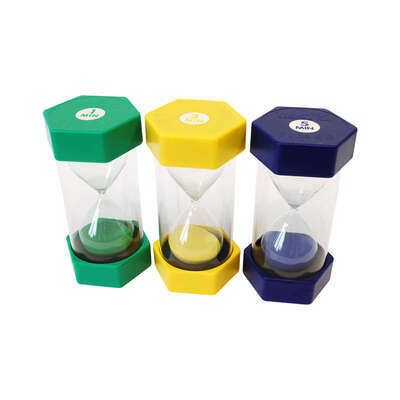 This sand timer is available in 1 minute, 3 minute and 5-minute options to suit your needs. Our Playtime collection is packed with a wide range of products to help support your business. From our Gompels Sand Tray through to our Flexi Trug and Abacus, you'll find items right here to work with your budget and work environment.